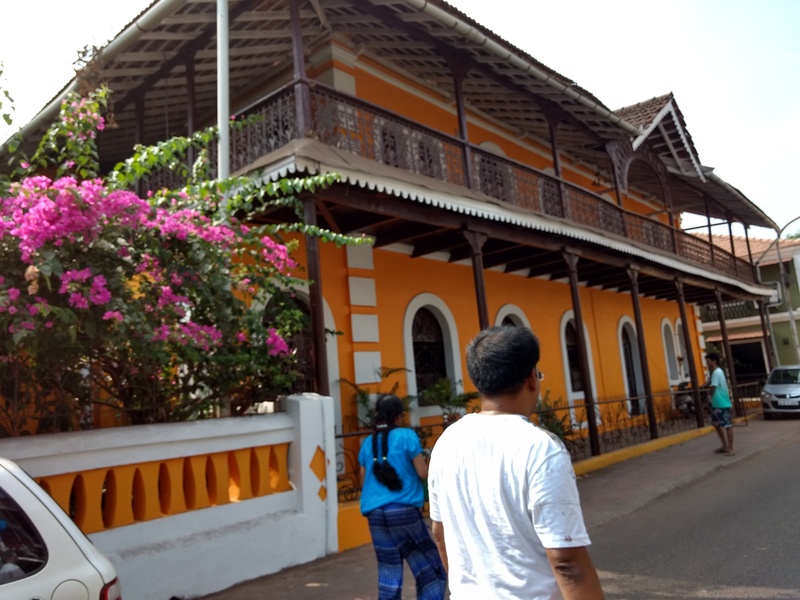 Been to Goa a few days ago , from 1 Apr to 4 Apr 2017. 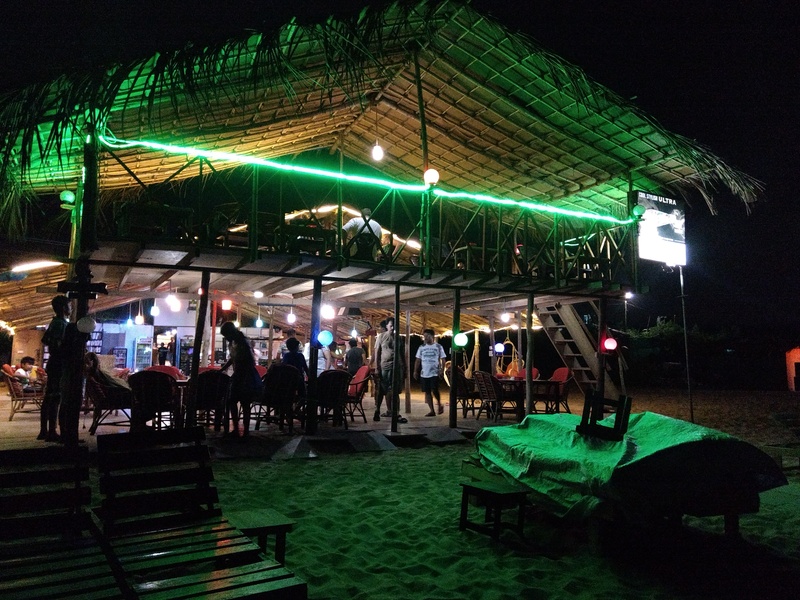 This is not the right time of the year to visit Goa. Summer has just begun . However , I didn’t find it too humid. 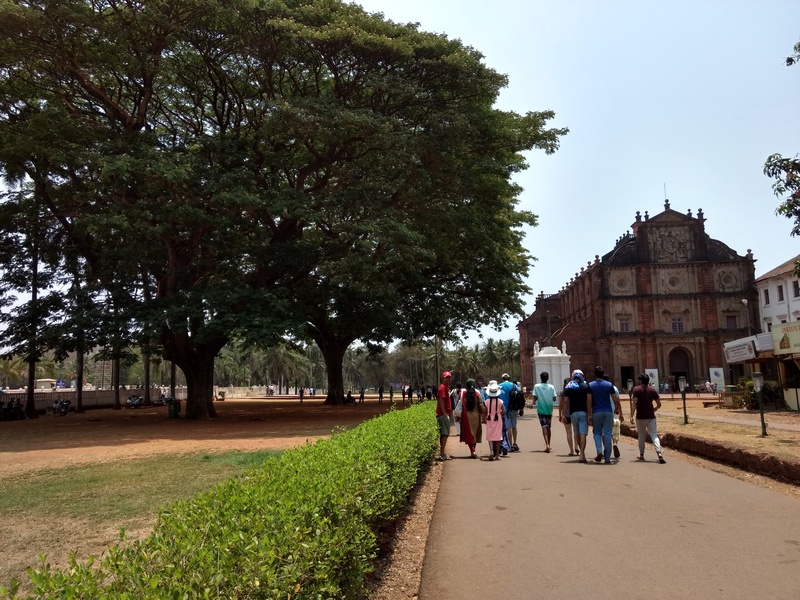 Loved the weather , except for some discomfort during midday. 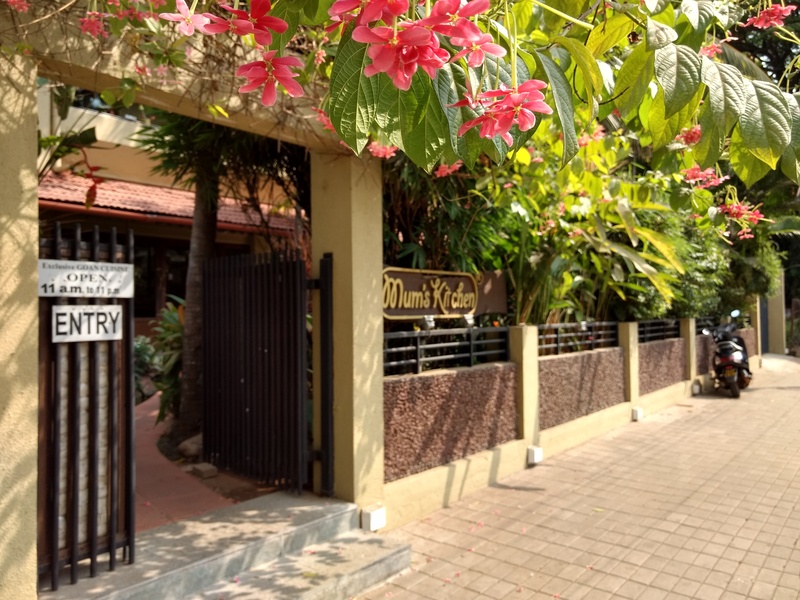 Mum’s Kitchen is one of the best Goan Restaurants. Went there for lunch one day. Great food ! 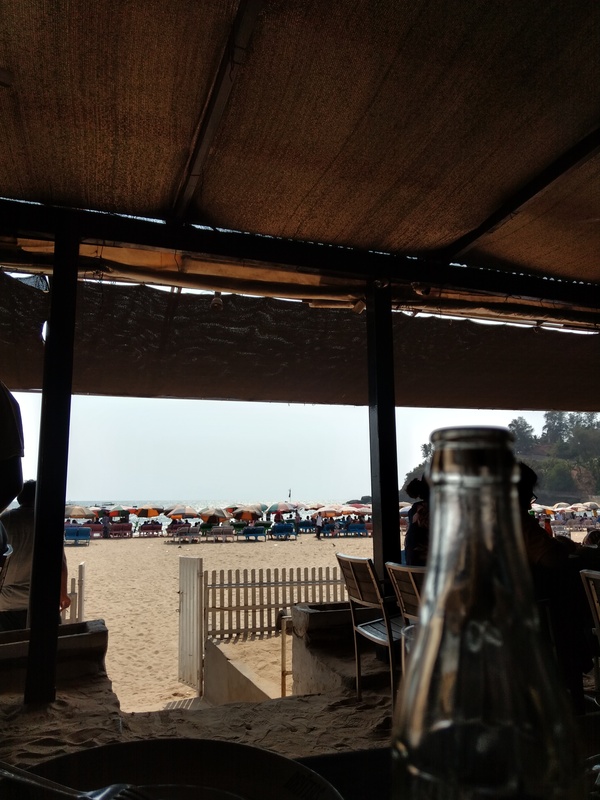 !.Tasted ‘Goan Port wine’ for the first time. Supposed to be a short form of ‘Portugese wine’ as it has Portugese influence. I don’t drink but I wanted to taste this one. It is a Red wine and was very sweet. I think I liked it :). My Ayurvedic doctor says I can have little bit of Red wine once or twice a week. 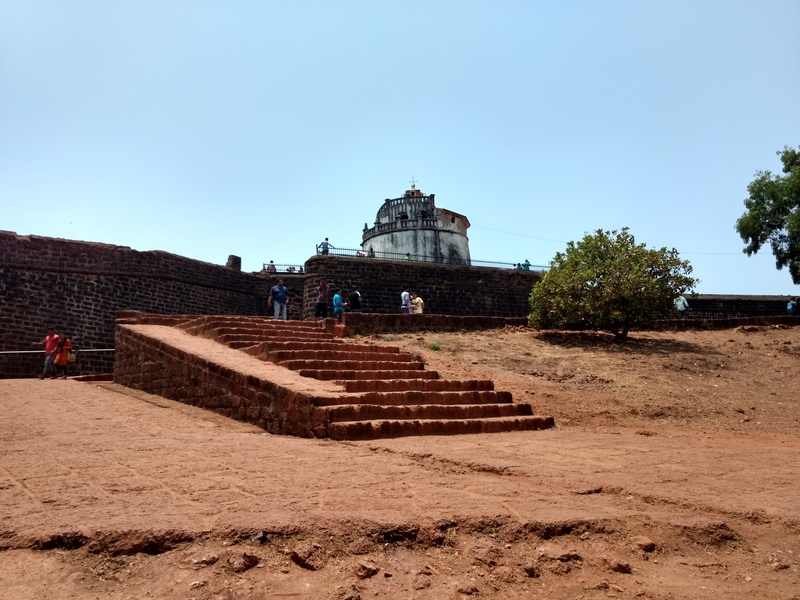 Also went to see Aguada fort. 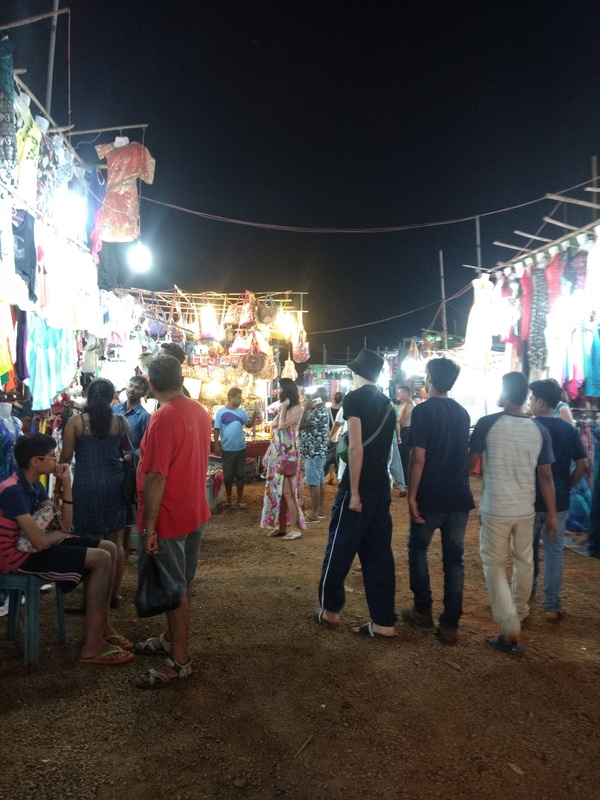 ‘Saturday Night Market in Arpora’ is an exciting experience. 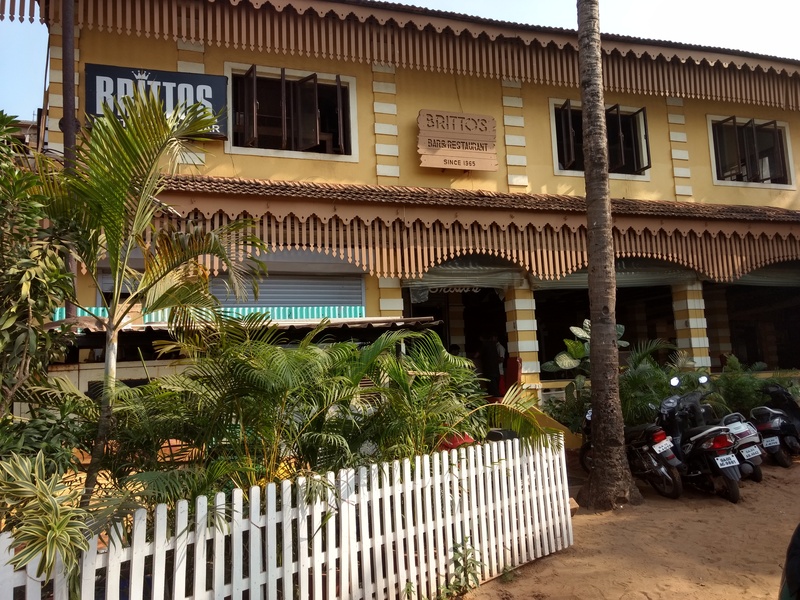 Had lunch at Brittos , one of the best Beach Shacks in Goa. 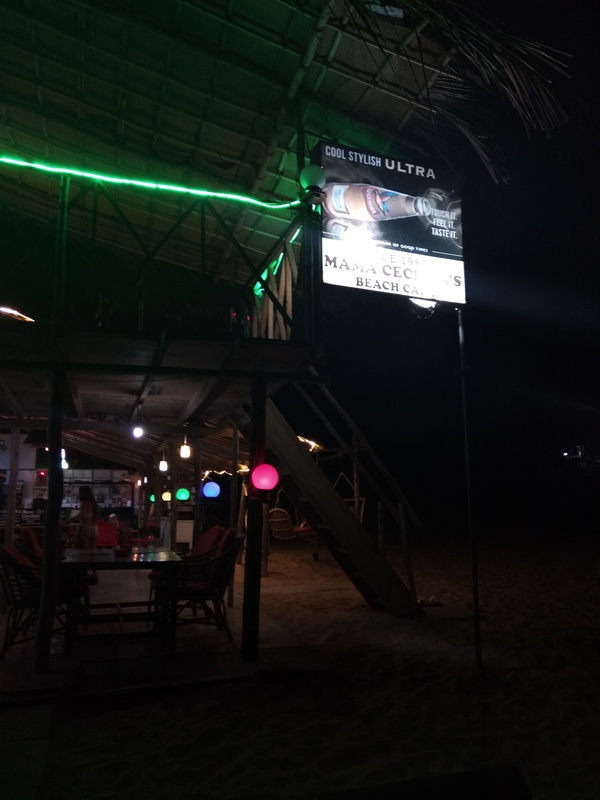 This one is on Baga Beach.Food was tooo good. 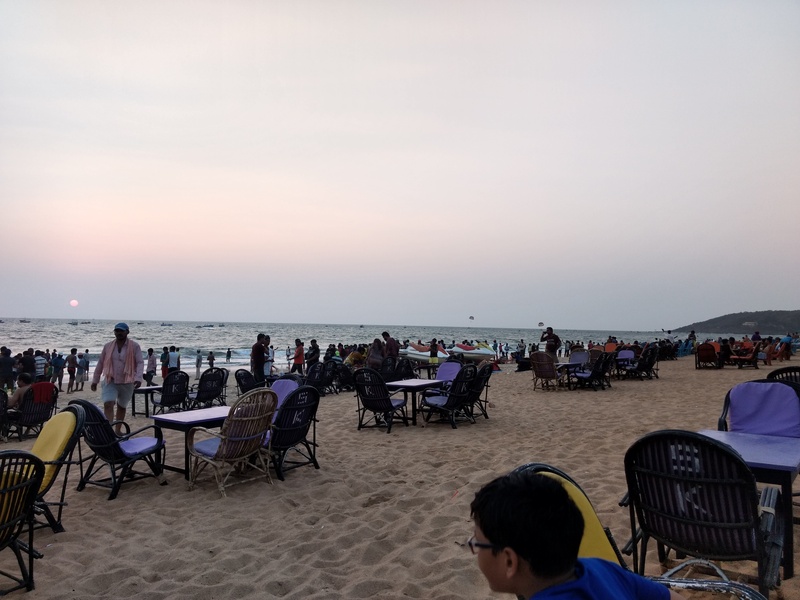 We were staying in Candolim and hence preferred to walk down to the beach…which is 500m away…in fact ,there were very few folks here….unlike the beaches at calangute or Baga which are too crowded because of water sports…spent a lot of time on this beach … watched the Sun set …. watched the moon rise …. had dinner at the shack . It is a different experience altogether. 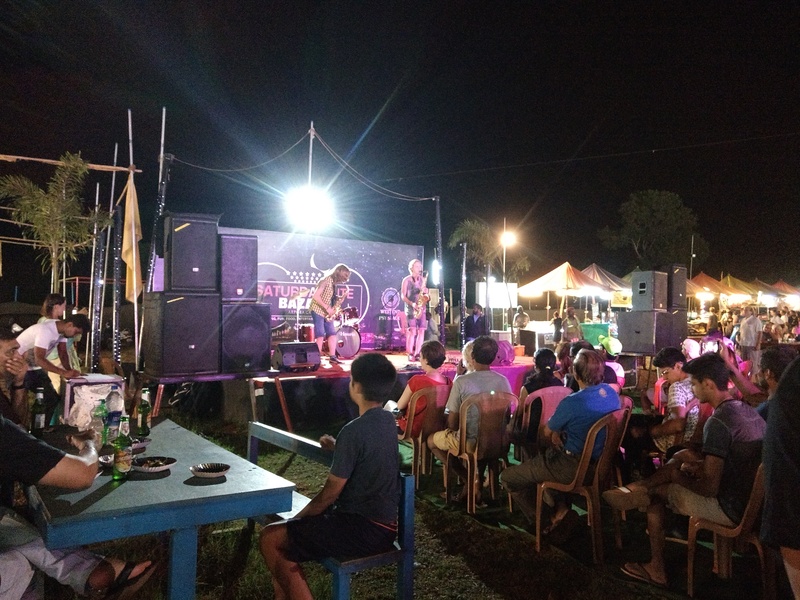 The laziest time I have ever spent…. 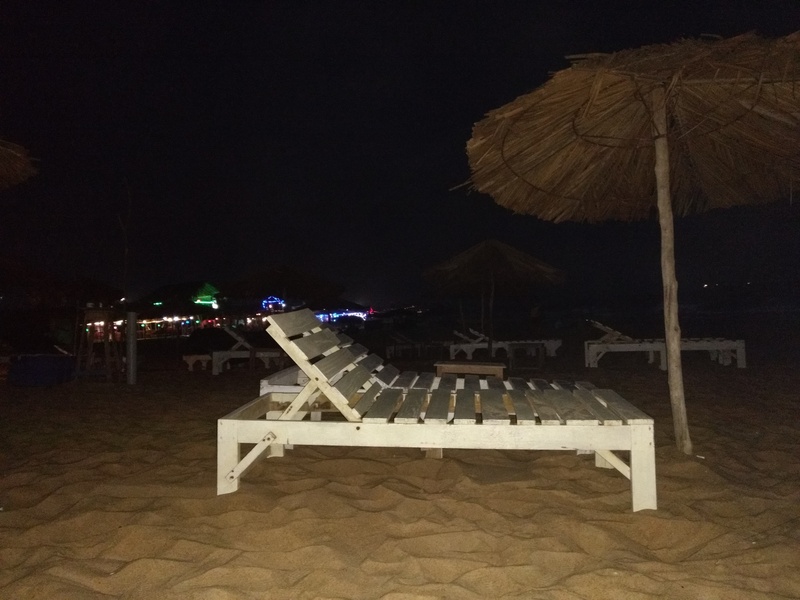 feels as though you own the beach…almost like a private beach with just the sand ,the sea …Watching the sun set and then the stars …Feeling the breeze… Having dinner with the sounds from the sea as background music… loved the experience. 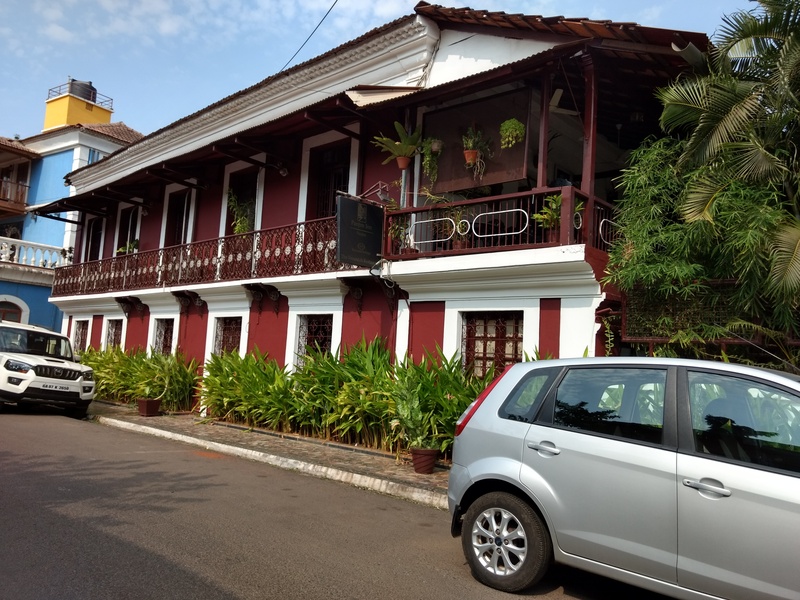 Categories: India, travel | Tags: Goa | Permalink.